For those who know me in person, I'm sure most of you know that I've been suffering from acne. I blogged about my acne skin journey 1 year ago. You can refer back all my story- HEREEEEE. After years of fighting, my skin are now finally free from acne. Of course, there is still some pimples popping out on my skin during my menstrual cycle (which is totally normal) Others than that, my skin are currently under control. After recover from acne, the next things i concern about is my scars and skin texture. So, i went for skin lasers. So far, it was all good..my redness reduces and my scars got lighten up. Of course, you know me.. i'm not a girl who will settle for less. hahaha. That is the reason why i'm constantly looking a solution and remedy to improve my skin. Recently, i've came thru a collagen supplement drinks for SKIN. They certainly do not harm. So, i decided to give a try. Here's a short review that i've done earlier with Lennox. Collagen is a protein that occurs naturally in the body. It plays a major role in maintaining tissue suppleness and elasticity. It's a beauty essential, key to maintaining a youthful appearance. As our age, around 20 plus...our body is less able to manufacture a sufficient amount of collagen. The amount of collagen in your body starts to decline. Meaning that, after aging process..woman produce less collagen and our body won't be able to produces collagen anymore. With deceased collagen, then it will be the beginning of the nightmare. The skin will automatically loses its natural elasticity and firmness. That's why we need to take collagen supplements to maintain it. 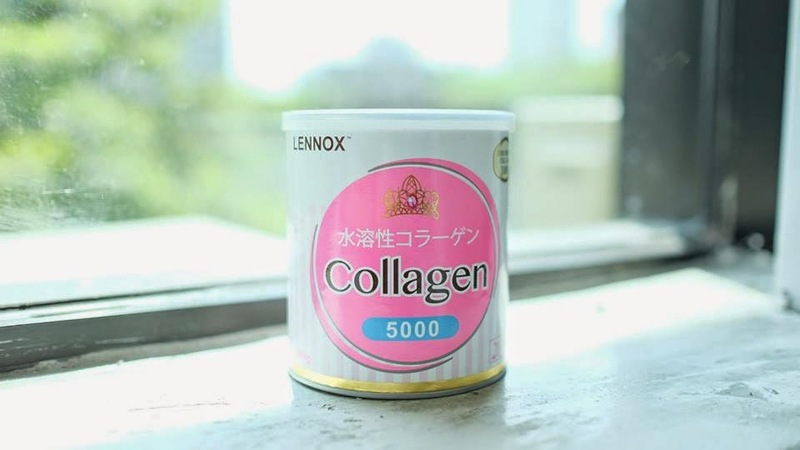 I've been trying out this Lennox Collagen 5000 for a few weeks and i really love the results. It is made of high quality fish collagen peptide originated from Japan. The taste is good especially when you mix it with your favorite drinks. The collagen itself is easy to mix with any of your preferable drinks. It's powder form, can be dissolve instantly in hot or cold liquids that is the reason why the molecules is smaller and easier for our body to absorb. Normally i will just add it inside to my fruits juice. Everyone can join. Yes everyone!! Just share your own recipe of how to mix your collagen drinks & redeem a sample packet of Lennox Collagen 5000. First 100 can get a FREE sample packet of Lennox Collagen 5000 daily!! The best recipe can WIN away 1 year supply of Lennox Collagen 5000 worth RM 1,524 (Total 12 tin of 280g).